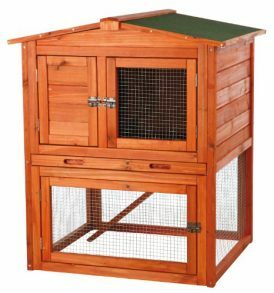 This brand new high quality rabbit hutch is made of fully treated and grooved wood. 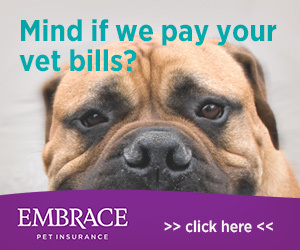 It’s coated with a water based preservative to help withstand the elements. The materials are made of a natural insulating wood construction. Doors can be opened for easy cleaning. 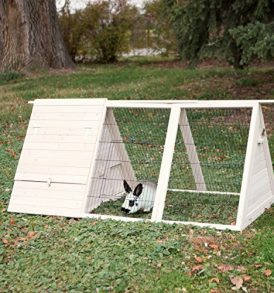 This hutch is well designed with one living house and a lower outdoor run area. 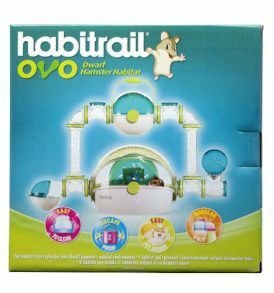 All parts can be disassembled and assembled and the hutch is easy to transport.